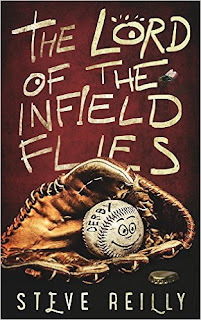 The Lord of the Infield Flies will thrill readers with Coach Steve Reilly’s harrowing, challenging, and adventuresome baseball team’s trek from Connecticut to play in Maine. As a prequel to his award winning memoir, The Fat Lady Never Sings, Reilly, a high school baseball coach, narrates the true story from the beginning of his coaching career at the age of 20. In summer 1977, Reilly plans to take his high-school-age team on a weekend trip to the baseball mecca on Cape Cod to play a Massachusetts all-star team. When plans go awry, he jumps at an offer to take the players instead to the serene surroundings of southern Maine to play that state’s all-star team. Most of the team’s starters decline; their hearts had been set on “The Cape.” Determined to go through with his commitment, Reilly gathers ten players to make the four-hour trip in a cabin truck and his car on a Friday night. Will the team arrive in time to battle Maine’s best the following morning? After his legal alcohol-age players convince him to stop at a package store on the way to buy just a “few beers” for the idyllic cabin they will be staying at in the resort area of Old Orchard Beach, they exit the package store with hand trucks filled with cases of beer. Chaos reigns. The cabin truck with its inebriated players gets separated from Reilly’s vehicle, losing half the team traveling in the opposite direction in Massachusetts! Will the team ever get to Maine? Will the team play Maine’s all-stars? And, will the players make it back to Connecticut? HE PEARL WHITE DOOR opened before me. A gaunt man wearing a gray pin-striped suit and goatee held the door open with his left hand and gestured with his right hand for me to enter. As I passed through the door, nervousness came over me. The strong scent of roses reminded me where I was. A pedestal sign directed me to go left. After an elderly couple crossed my path with their heads down, another pedestal sign directed me to the right down a narrow hallway. To my surprise, the hallway was empty. At the end of the hallway stood a wooden pedestal with a gold banker’s lamp lit above an open book. I grasped the pen from the slot carved in the pedestal and signed the book like a schoolboy as I made sure my penmanship was within the lines. I picked up a small card from a slot in back of the pedestal and put it in the pocket of my dress shirt; there would be plenty of time to read the poem later. With no one in front of me, I stood alongside the doorway as if waiting for permission to enter, but none was needed. As I stood in the doorway about to enter the quiet room, I thought about the summer of 1977 and my Senior Babe Ruth baseball team’s trip to Maine the last weekend of July. 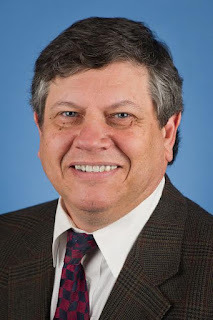 Since 1976, Steve Reilly, a practicing attorney, has coached high school baseball in Connecticut’s Lower Naugatuck Valley. He has spent the last thirty years assisting other high school coaches and is currently in his seventeenth season at Seymour High. Reilly and his wife, Suzanne, live in Seymour, Connecticut. His latest book is the sports memoir, The Lord of the Infield Flies.